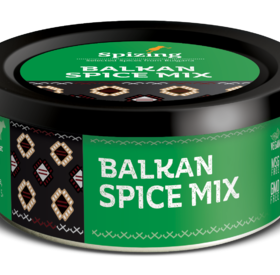 The Balkan spice mix is based on the Bulgarian mixed coloured salt. The combination of fenugreek, savory and spearmint gives a typical Bulgarian taste of every dish in which you use it. Spice up veal, chicken, pork, lamb, veal and vegetables. 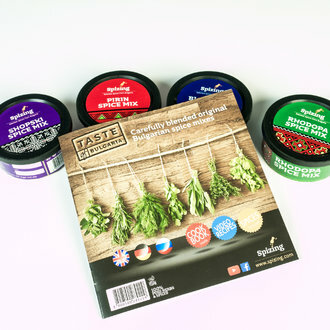 Ingredients: savory, paprika, spearmint, coriander, black pepper, fenugreek, basil, oregano, thyme.